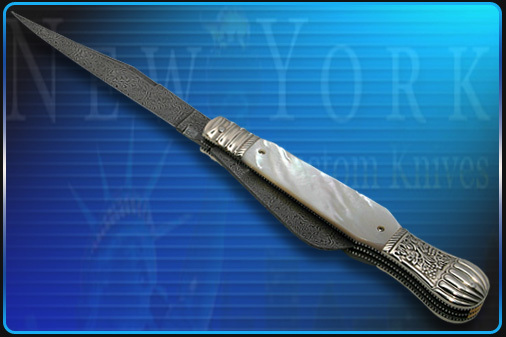 Automatic British Dirk by Ron Newton features carved blosters, pearl scales and 2 blades. Press small blade to release large blade. Blade Lenght: 3 4 1/8 -- Small Blade 2 5/8"